We’re excited to welcome the 58 students and interns of the Spring 2018 semester. 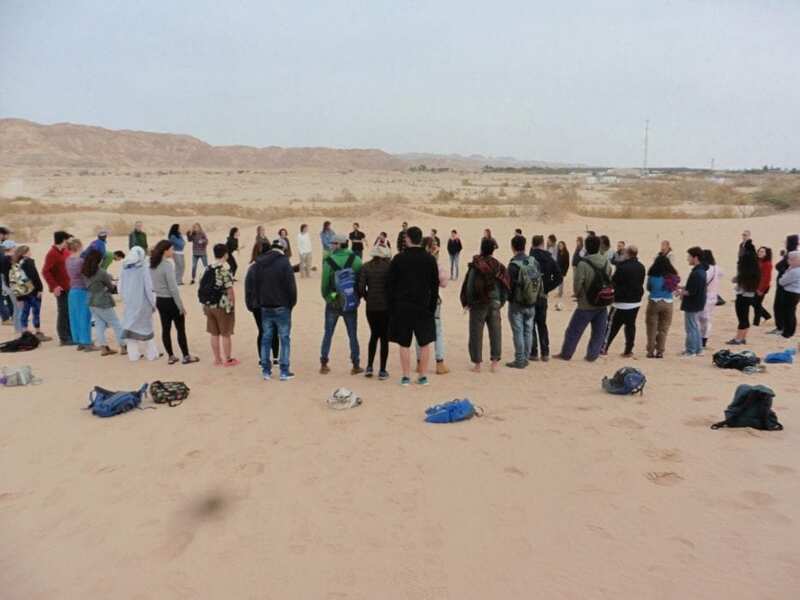 In this largest student body in the history of the Arava Institute, participants come from Israel, Jordan, Palestine, the United States, Turkey, Hungary, and Kenya. Their first week was spent getting acquainted with the academic program and life on our multicultural campus, as well as getting to know each other and Arava Institute staff and faculty. In addition, during a day trip to the Center for Creative Ecology at Kibbutz Lotan, Eilat, and the Eilat Birding Center, the participants had a chance to get to know some of the region surrounding them. After a relaxing weekend that included optional hikes, movie screenings, and other informal get-togethers, students now have an opportunity to participate in all offered classes before making their final choice of courses for the semester, while interns will be introduced to their research tasks and teams. We look forward to getting to know the new faces at the Arava Institute, and wish everyone a successful semester!